Whether you want online content, magazine features or marketing material I can help you engage with your readers, start conversations and inspire debate. Creating content that is proactive and effective will ensure you reach your target audience. With more than 20 years experience as a journalist and copywriter I have written features for leading magazines, newspapers and websites, including The Guardian, The Independent and Men's Health. 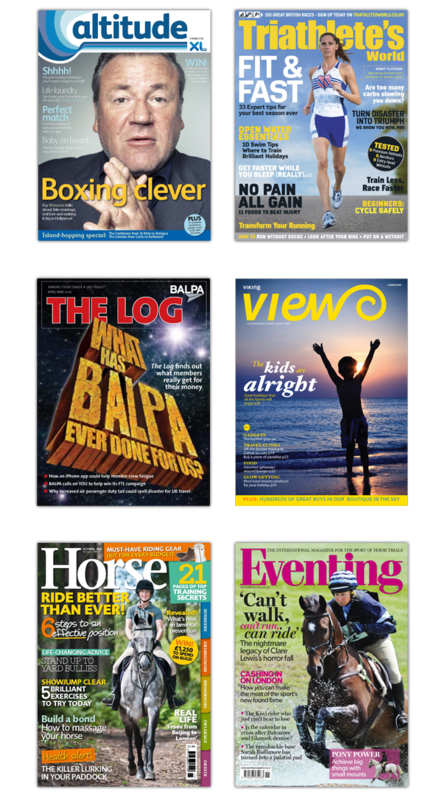 I have created content for a range of businesses, magazines and newspapers including The Guardian and Horse & Country TV. 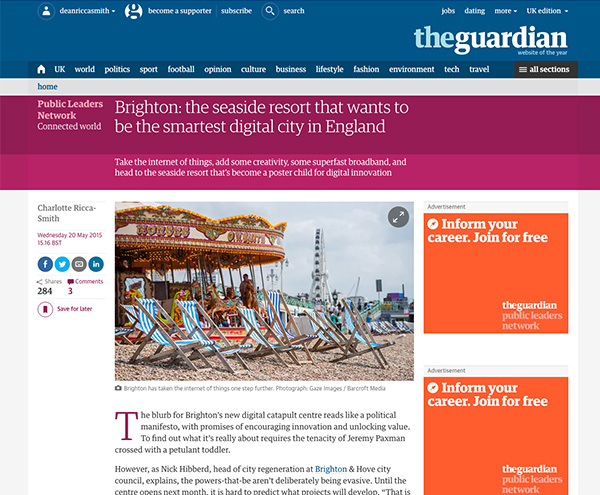 Online content must be snappy, with attention grabbing headlines. It’s a competitive world out there and if you aren’t the first, the funniest or the most factual the reader will quickly turn to another source. My job as news editor for the award-winning website Horse & Country TV is to ensure our loyal readers stay loyal. Since joining the company in 2011 the number of visitors and amount of time spent on the site has increased substantially. This role also includes managing social media campaigns at large sporting events, including Burghley International Horse Trials and Horse of the Year Show, using tools such as Hootsuite. I have supplied copy for a number of local businesses, written features for The Guardian website where a feature on 3D printing was the top five most read story for over a week, and provided online reviews for leading gadget sites Shiny Shiny and Tech Digest. No celebrity is too big, no subject too small. I have interviewed sports stars and soap starlets and written about love, life and loads more. With years of experience behind me I pride myself on the quality of my features. I rarely resort to Wikipedia for research and I’m not afraid to pick up the phone to get a good quote. Even better, I will turn up in person and really get to the heart of the matter. 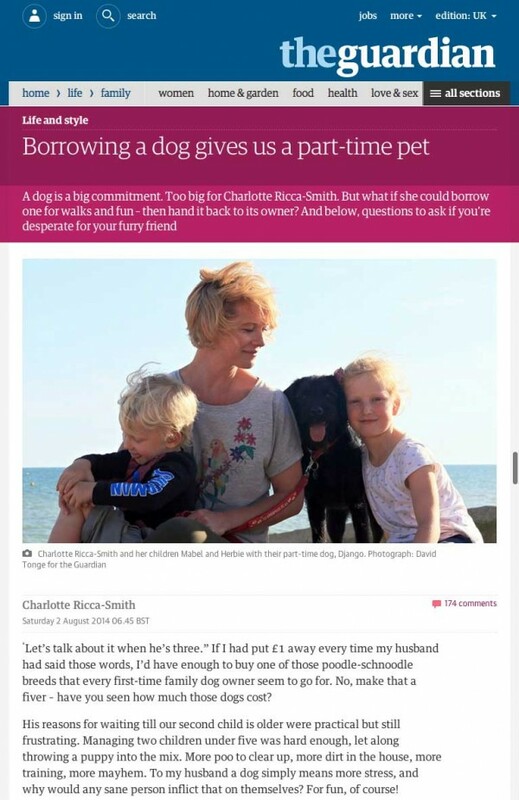 I can turn my hand to any subject, from pilot training to borrowing a dog. I always hit my deadlines, write to word count and provide entertaining and informative copy – which is how I have stayed successful for more than 20 years. During this time I have written for the likes of The Independent, The Guardian, Maxim, Men’s Health and Zest. I have edited magazines for First Choice and XL Airways and subbed on a number of titles at IPC and the National Magazine Company. Whether you want copy tightened and injected with a bit of sparkle, snappy heads and sells, or you need a magazine edited from conception to publication, you have come to the right place. I have subbed copy for a number of titles at IPC and the National Magazine Company, and launched and edited inflight magazines for First Choice and XL Airways. All of which have given me an eagle eye for error and helped me hone my journalistic skills. I understand the importance of knowing your target audience and how to talk to them, whether they are horse-mad teenagers or airline pilots. I make copy earn its keep, in terms of grabbing – and holding – the attention of the reader. Major brands such as Samsung, TDK and American Express have benefited from my concise, engaging copy. Corporate is often a by-word for dull. But not when I’m writing copy. I can turn the inner-workings of a CD labelling system into accessible and entertaining prose, which is what I did for TDK. 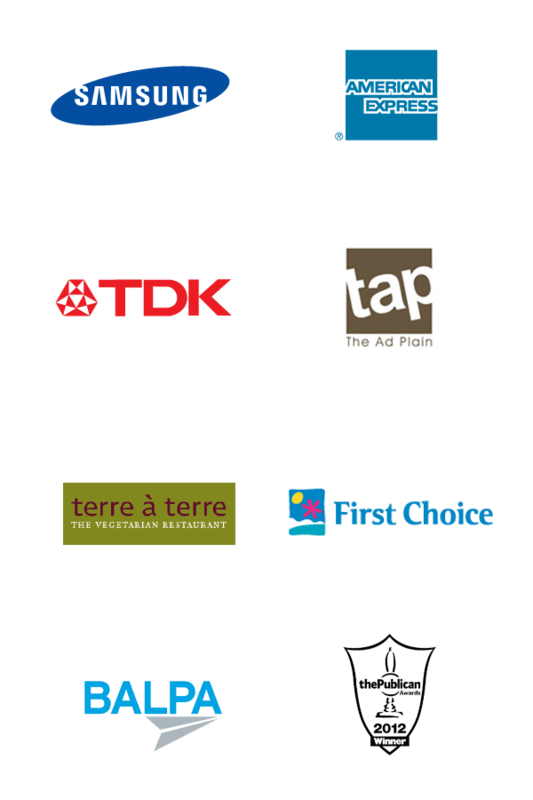 Other clients include American Express, Samsung, First Choice and BALPA. Whatever the subject, I aim to grab the attention of the target audience and keep them reading. I pride myself on my ability to quickly grasp a concept and translate jargon into print using layman’s terms. I don’t believe in dumbing-down, but I can adapt my style – and your key message – to make sure it’s not only read, but also understood. I have been fortunate enough to see much of the world and write about it. 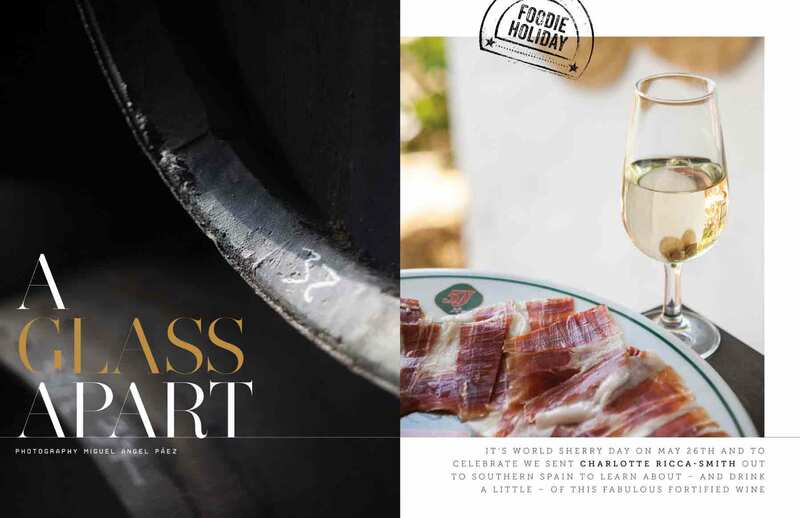 My travel features have appeared in a number of magazines, including First Choice, Monarch Airlines and Meze, the luxury magazine for business travellers. Writing about the latest, hottest destination isn’t just a chance for a free holiday (although it is quite nice, if you’re offering), it’s about seeing a place through readers’ eyes. Travel features should engage, entertain and educate the audience and enable them to make an informed decision about whether they want to go there themselves. I have roughed it in five-dollar, bug-ridden hostels and lorded it in five star hotels. I have dragged my kids up mountains and out to sea and boarded, ridden, swam, biked and eaten my way around the world. All in the name of journalism. It’s a tough job, but someone has got to do it. One of the original gadget girls, my techie opinions have appeared in the likes of The Guardian, Stuff and The Independent. My career as a journalist began on Stuff magazine and I have had an interest in gadgets ever since. With monthly columns in The Independent, Maxim and Men’s Health, I was given free rein to indulge in the latest gizmos. I have also written features for The Guardian (click here), have appeared on TV and spoken on the radio about the wonderful and often weird world of technology. I don’t claim to be a geek, I’m not even a techie, and this is what makes my reviews a little bit different. I don’t use jargon, I don’t use TLAs and I don’t write from the press release. But I do get products out of the box and I do ask a lot of questions – which means the reader doesn’t have to. Unless they decide to buy the product. Then they should definitely get it out of the box. I don't just write words, I also say them to camera. Over the years I have presented on shows such as Something For The Weekend and The Big Breakfast, and I am a sports presenter for Horse & Country TV. While writing is my bread and butter I have also appeared on a number of TV programmes, including The Big Breakfast, Rise and Something for the Weekend, where I was the regular gadget girl alongside Tim Lovejoy. 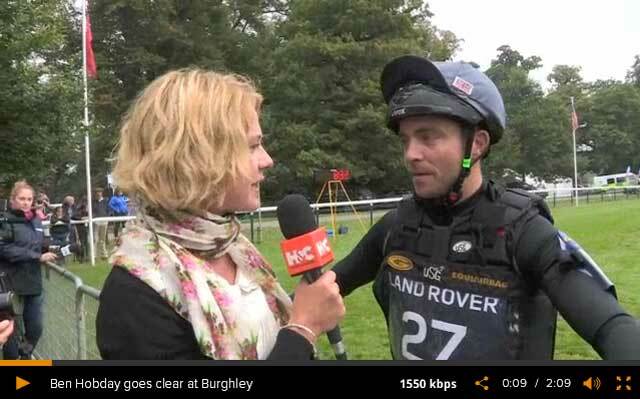 I am currently a sports presenter for Horse & Country TV, reporting from top events such as Burghley International Horse Trials and interviewing some of the world’s best riders. I have also made promotional films for Samsung, where I helped write the scripts before presenting to camera. I don't just write about it for titles such as Men's Health, Runner's World and Zest – I live it. I have run many miles, swam in many oceans and clocked up a fair few miles on my bike – and all for the love of it. I also have a healthy obsession with nutritious food. All of which means I’m a fount of knowledge when pulling together health-related copy, and what I don’t know I will research thoroughly. I have exploded dieting myths for Zest; explored dating etiquette in the gym for Men’s Fitness; extracted the truth from couples who found love on the run for Runner’s World; and examined fitness gadgets in Men’s Health. Along the way I have built up a great contacts book, and I’m not afraid to use it.